On straightforward renovation projects it is a good idea to have a measured building survey carried out at the start. The survey information will be the basis of any design work, it can be used in the planning process and may be required by a structural engineer if walls are to be moved or removed. 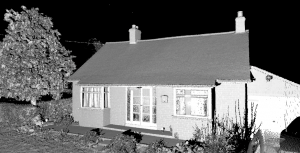 This sort of survey can be done by an experienced surveyor with little more than a tape measure, Disto (Laser distance measurer) and access to a CAD (Computer Aided Design) package. However, problems can arise when the building to be surveyed is not square and/or has lots of inter- connecting rooms. This can be very difficult to survey in the traditional way and the survey data can be less accurate. This is where laser scanning can prove to be very useful. The laser scanner picks up points on everything it can see, regardless of whether the room is square or not. If you connect a series of separate scans using the overlapping data between them, you achieve much greater accuracy – about +- 5mm. 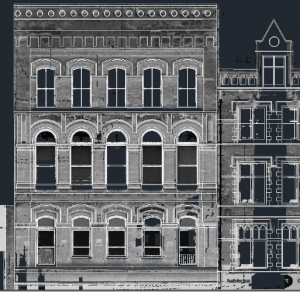 So your data will be far more accurate than a traditional measured building survey but what else does the laser scanner deliver? Because so much information is captured you will be able to see where walls aren’t straight. If a nice new square kitchen unit is ordered but the wall in the property is more like a banana then it could result in some expensive or stressful on site remedial works. The drawings you receive will be much closer to what is really there. 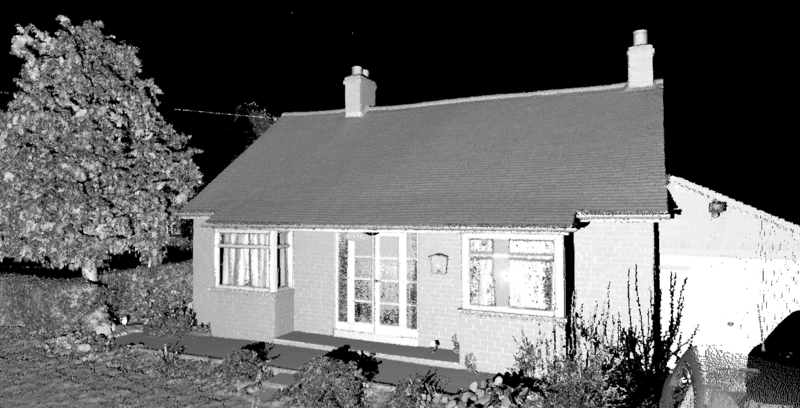 One distinct benefit of laser scanning is that because you pick up such a huge amount of information whilst on site you can nearly guarantee that should the homeowner decide that they need extra detail in a drawing there shouldn’t have to be any additional site visits, in fact using the free viewing software the client may well be able to pull the relevant detail from the scan cloud themselves. 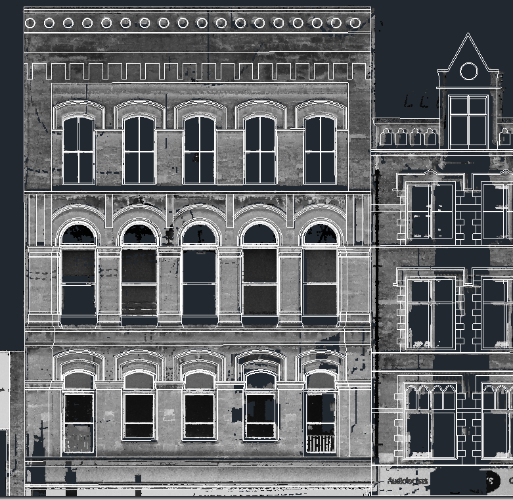 Elevations are also very easy to create from laser scan data and can be drawn up to a very high level of detail if required. The external facades could be surveyed so that there is a point every millimeter across them. This means any detail over a millimeter in size can be shown, this could also come in handy to show cracks in the building and sagging in brickwork. Because the data is in 3D you could also see if walls are bowed or leaning. 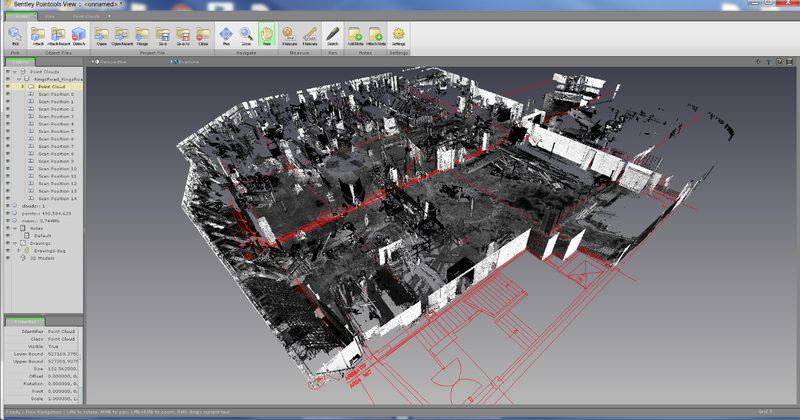 If scanned again at a later date the scans can be overlaid and any movement in the building can be shown. As an added extra the software allows you to set up walk throughs of the building. 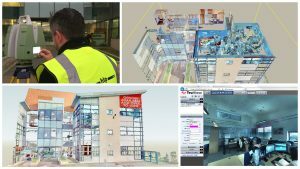 Viewing the site in 3D can help to bring up new ideas and can even be sent out to contractors to help them cost up their aspects of the site work. You may want to model the building in 3D. If laser scanning is carried out then all the data will be there to do this and the model can accurately show reality in 3 dimensions. As a renovator you may have to hand over a lot of responsibility for the build to a contractor. If you wanted to check the final build against the original design then this can be done easily with laser scanning. A scan cloud can be overlaid onto a design model and clash detection programs run to show where the two are the same and where they are not.